Arnold Schwarzenegger was born in Austria and at 20 became the youngest person to win the Mr. Universe title. He won an unprecedented 12 more world bodybuilding titles. 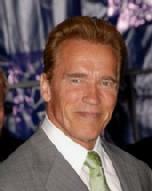 Schwarzenegger earned a college degree from the University of Wisconsin and became a U.S. citizen in 1983. Former President George H.W. Bush appointed him Chair of the President's Council on Physical Fitness and Sports in 1990. He also served as Chair of the California Governor's Council on Physical Fitness and Sports under California Governor Pete Wilson. Arnold has been involved with the Special Olympics for many years and was the official spokesperson for the Special Olympics which were held in Shanghai, China. Arnold believes that quality school opportunities should be made available to children who might not normally be able to access them. In 1995, he founded the Inner City Games Foundation (ICG) which provides cultural, educational and community enrichment programming to youth. ICG is active in 15 cities around the country and serves over 250,000 children in over 400 schools countrywide. He has also been involved with After-School All-Stars, and founded the Los Angeles branch in 2002. ASAS is an after school program provider, educating youth about health, fitness and nutrition.